Driving in Seattle is tough with all the water on the roads and the many hills. You want to make sure you are safe on the road and avoid car accidents. One way to avoid car accidents is to make sure your car is being properly maintained and having good tires goes a long ways to keeping you safe from a car accident situation. 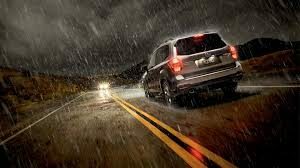 If you have bad tires, your car is more prone to lose traction on wet pavement when making turns and maneuvering around the road. There is nothing worse than spinning out or hydroplaning on the road and causing a car accident. This is also your fault for the car accident and injuries that you cause to someone else if your tires cause you to hydroplane or slip because there is no tread on the tires. 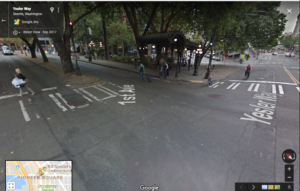 If you are injured in a car accident that is your fault, a Seattle personal injury lawyer cannot represent you for your car accident. Additionally, if you do not have good tires, your tires are more prone to getting punctured and becoming flat or blowing out on the road. When tires become run down and bald, they are much more prone to flats and blowouts because of the protective surface being eroded. Kelly Bluebook states that there are three main ways to determine whether you need new tires or not – manufacturer’s recommendation or by inspection. The manufacturer of your tires has a ballpark expiration date for your tires usually somewhere between 25,000 and 50,000 miles. However, these are just estimated guesses based on how long they will warrant your tires to last for under normal wear and tear. They cannot predict for using your tires off road or on road that is very coarse that wears down your tires. There are some tires that will not last 20,000 miles and some that will last 45,000, it just depends how rough you drive your car and what kind of terrain your are driving on. You should regularly inspect your tires to make sure that they have sufficient tread on them. One way is to look at the tread wear bars, which are little rubber bridges in the grooves between the ridges. If these bars are level with the tread pattern, then the tire has only 1/16th of an inch of tread remaining and must be replaced. A second way to test the tread is done by inserting a penny or quarter into the center of the tread between two ridges with the image of Lincoln’s or Washington’s head facing toward you. 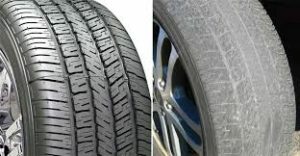 If you can see the very top of the head, or worse, the space above the head, then the tire needs replacing immediately. If only some hair is visible, then it is time to consider purchasing new tires, though the need is not so urgent. If some of the forehead is concealed, there is still adequate tread. The third option for measuring tread is to buy a depth gauge for your car. This can be bought on Amazon for as little as $15. As these are cheap, easily available at auto parts shops, and simple to use. They are often a worthwhile investment and have the advantage of providing a more accurate measurement than the other methods. Coats on babies in car seats don’t match. Most people know this but some people don’t – it is dangerous to have your baby wear a jacket or large piece of clothing in a car seat or booster seat. This is because in the event of a car accident, your baby may not be securely fastened to the car seat and be seriously injured. The large coat or extra clothing on the baby may seem snug against the straps of a car seat but in a car accident the baby will not be restrained and in fact fly through the straps and possibly be seriously injured. The extra fabric doesn’t act as an extra barrier and in fact acts as a loose, false barrier that doesn’t hold the baby in. Yes, it can be annoying to take your baby out of the jacket or large sweater and then have to put it back on, but it is for the protection of your baby in the event of a car accident. You may even think that you are only traveling for a short drive but this should not convince you to allow it. Car accidents can happen at any time and any place. All it takes is one person not paying attention to your car being stopped or someone in a hurry and a car accident happens. Don’t risk your baby’s health for the inconvenience of taking him or her out of a jacket or coat. If your baby did fall out of the car seat with a jacket on in a Seattle car accident, unfortunately it is your fault and not the car seat manufacturer. You must follow proper protocol and manufacturer’s intended usage. 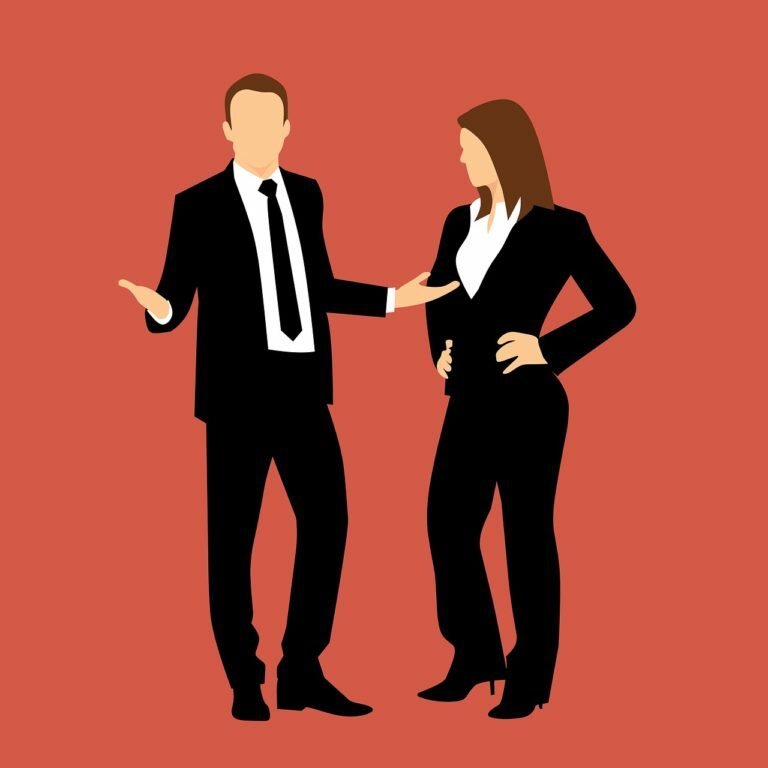 A Seattle personal injury lawyer will walk you through your options in a car accident injury case but you may hurt your case by not securely fastening your child in his or her car seat. Hitching a ride on a car like Marty McFly legal? 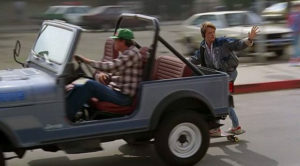 We have all seen the scene in Back to the Future where Marty McFly hitches a ride on the back of a car with his skate board and then again on a hoverboard to get around. We all thought, “how cool is that? !” However, is this a legal move to do in Seattle on a skateboard? RCW 46.61.765 Clinging to vehicles. I tried to look up the original bill to determine where the law came from and where it was established but I couldn’t. I would like to think that this probably came around during the time the Back to the Future movies came out but I cannot be sure. It may have been a popular thing to do when skateboards came out. According to Wikipedia – Skateboarding, as we know it, was probably born sometime in the late 1940s, or early 1950s, when surfers in California wanted something to do when the waves were flat. This was called “sidewalk surfing” – a new wave of surfing on the sidewalk as the sport of surfing became highly popular. I think it is probably pretty obvious why this is illegal. It is highly dangerous and a high likelihood of injury by the person riding on the back of the car. 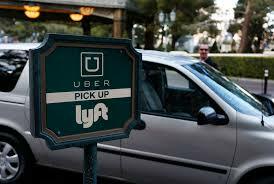 It could easily create a car accident whereby the skateboarder loses control because of the high speeds and either gets ran over by another car or is flung off their board causing injury. Can you pass someone parallel parking? Have you ever sat behind someone parallel parking and wondered if you can pass them? Who is at fault if you hit them when passing? In general, a person who is parallel parking has the right of way to the spot they are occupying and other vehicles must yield the right of way that they have to parallel parking. However, a car may pass a parallel parking car so long as there is room on the other side and the law allows so. 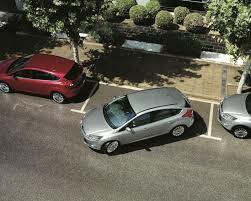 A parallel parking car may not occupy another car lane when they are attempting to park. This means that they may not swing so wide that they come into contact with someone in the lane next to them. If a car comes in contact with the parallel parking car by trying to pass them without sufficient space, they may be cited for following too closely or not driving in their lane of traffic. However, this does not mean that you have the right to reverse into another car. Each car must be prudent in their attempts to avoid coming into contact with other cars. If you have been injured in a car accident with someone who was parallel parking or you yourself were parallel parking and someone hit you, call today for a free consultation. Is your child riding in your car properly? Could you face a fine? Safety is the name of the game and preventing injuries in car accidents is the purpose. Many people know that their child should be in a car seat when they are young but do you know how long they are required to be in a car seat? How about how long they are supposed to be in a rear facing car seat? Did you know that you could be facing a $124 fine if you fail to have your child properly restrained? Did you know that this fine follows you the parent, until the child is 16 years old? The reason behind using a car seat or booster seat and when to graduate your child is to keep our children safe in car accidents. A normal seat belt will not protect a child that is too small to actually realize the safety benefit of the seat belt, like full grown adults can. 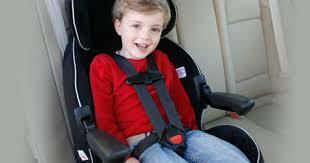 The reason is that seat belts are positioned with restraints for an adult and are not adjustable for a small child. The child could fall through the straps if there is a car accident and be severely injured. Children under age 8, unless they are 4’9″ tall, must be restrained in an appropriate child restraint system (car seat or booster seat). Children less than 13 years old are to be transported in the back seat, where it is practical to do so. Violation of this section could be subject to a $124 fine. However, this is a “fix it ticket.” Meaning, if your child should have been in a car seat but was not, you can have your ticket dismissed if you show proof of purchase of a car seat within 7 days of the notice of the ticket. Car Seat, Booster Seat, or Back Seat? There are four kinds of graduated seating that you should think of: Rear facing children seats, forward facing car seat with restraining straps, a booster seat, and a seat belt. Do you know when your child should start using each? 1.Under two years old or reach max height or weight by manufacturer – Keep infants and toddlers in rear-facing car seats. 3. All children who have outgrown the forward-facing car seat – should use a belt-positioning booster seat until the vehicle’s lap-and-should seat belt fits properly, typically when they reach 4’9″ tall and are between 8 and 12 years of age. 4. All children younger than 13 years should be restrained in the rear seats of vehicles for optimal protection. When children are old enough and large enough to use the vehicle seat belt alone, they should always use lap-and shoulder seat belts for optimal protection. Be careful not to graduate your child to the next seat too soon. Keep your child in the current seat for as long as possible (according to the seat manufacturer’s height and weight requirements), to maximize safety.